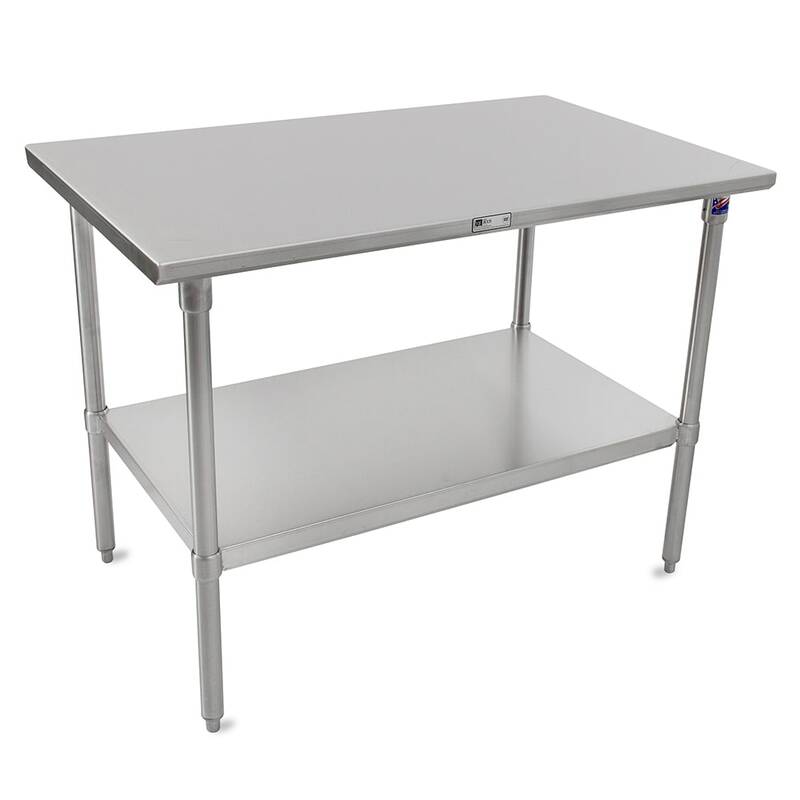 Providing an ideal space for prepping food and operating small equipment, the John Boos ST6-3696SSK work table measures 96 inches long by 36 inches wide and is stabilized by six tubular legs. Each leg has adjustable bullet feet to balance the unit on uneven floors. It is made of stainless steel, providing corrosion and dent resistance. The top can endure heavy use since it is welded and reinforced by a 1-inch-by-2-inch channel. Because of their 90-degree angle, the side edges on this John Boos ST6-3696SSK work table sit flush against other units. 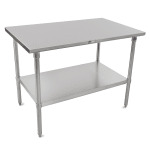 Visit our tables and stands buyers' guide if you want to learn more about commercial work tables.